He had already cleared the tougher parts of the first mountain on this trek… He was on top of the mountain and could get a clear view. A clear view of the entire valley. 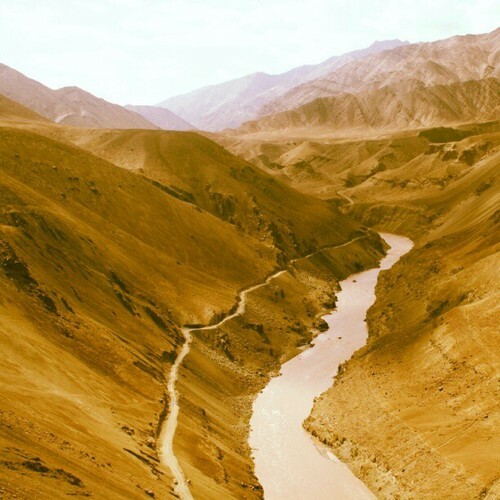 A valley that amassed a humongous stretch of the beautiful Indus River! A river that engulfed the terrain with its misty eyed stoned somber look. One could just flow into the serenity that this river had to offer. Serenity that you see when you look at the most beautiful girl you have ever seen. That look of awe and that of a crush you have for the look in her eyes, for that beautiful smile on her face. For a moment your entire life with her flashes in front of you. That’s the exact look he had in his eyes when he gazed across the horizon to find the beauty stretching across the valley and numbingly staring back at him. He knew he had to walk many a miles further from that point on… But he also knew that the journey had truly begun now. At the pinnacle of the first mountain he climbed, the one of many more to come on this not so expectant trail of his. A trail that he had to take to surmount all the odds. And the odds that he was up against weren’t small. Certainly not by a mile. He looked at certain aspects of this journey as a triumph yet he knew this was a very small milestone that he had achieved in the grander scheme of things. His inspiration was not just the mountains, but the journey towards a destination to unravel a mystery of the enchanted mountains… One that had so much more to reveal. He had set foot not just to conquer the mountains and search for his soul within but also the mystery the mountains held behind its gazing eyes. A travelogue that he was ready to write once he conquered the fear within. He had sketched out a plan to ensure that his destination was reached come hell or high water. He didn’t know what journey he was on… But he knew he enjoyed it a lot up until this point… A lot more than the benevolent lifestyle he had lived under the comforts of his four walls and the general rut of life. It was time that this journey helped him overcome his fear, a fear of stagnation and total annihilation from the constant bond of the comforts attached with the meager perks of a menial life. 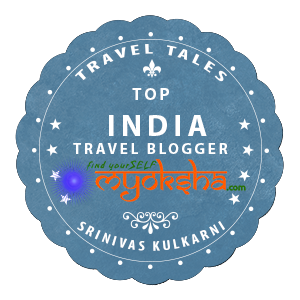 This entry was posted in Travelogues, Stories and Life and tagged Indus River, Mountains, River, Terrains, Travel Writing, Trekking, Valley, Writing on September 30, 2012 by srinistuff.